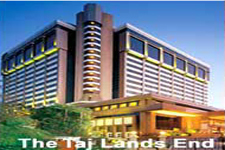 Taj Land's End located close to the Bandra-Kurla, Andheri and Worli business districts. 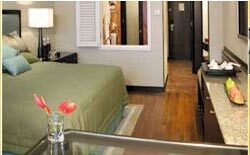 Situated 12 kms from the international and 8 kms from the domestic airport. 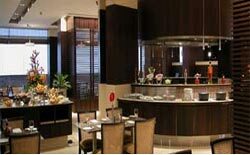 The Taj Lands End hotel offers 300 rooms and suites to its guests. 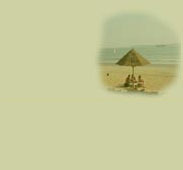 Each hotel room offers a panoramic view of the Arabian Sea. Each of the hotel room is equipped with In-room laptop size electronic safe, Private stocked bar, direct dial speaker phones with voicemail and data port, 25" Color Television, DSL Internet connectivity, Hair Dryer, Tea/Coffee maker, Writing desk, Electronic Card Locks, Automatic Fire Sensing and Sprinklers.